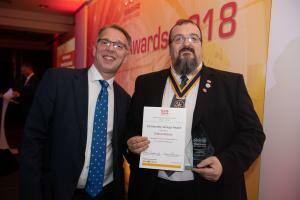 Rotary Club of Elland scoops award! 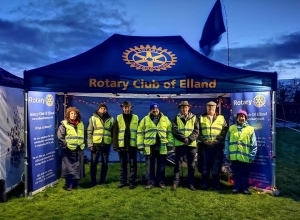 The Rotary Club of Elland is a community based group of male and female volunteers who work to make a difference locally, nationally and internationally. The club is a mixed group of local ordinary men and women of all ages dedicated to having fun with a purpose. The members give their time, energy and expertise serving the community through Rotary Internationals many programmes. The focus is mainly working on community based projects but also raising funds for local charities based in Elland and the surrounding area of Greetland, Barkisland, Stainland & Holywell Green. Rotary International is a global organisations having 35,000 clubs in 200+ countries with over 1.2 million members. 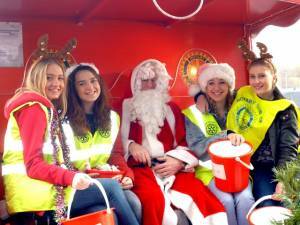 Rotary, formed in 1905 like most voluntary organisations is going through a period of change, the Rotary Club of Elland is in the forefront of that change. The initiative and the energy that makes our club and its fund raising events so successful and a lot of fun is what a modern day Rotary Club is all about. Rotary’s moto is “Service above Self” which is what Rotary is really about to its members - putting something back to meet the ever changing community needs. We no longer have attendance rules meaning that you can give as much or as little time as you can however as with anything the more you put in the more you get out. There isn't a formal dress code either. The only rule Rotary asks is that the club meets twice a month. We meet weekly with a meal once a month featuring a speaker on a verity of subject that affect us all. At Elland we pride ourselves by being innovative and offer a “try before you buy” Associate Membership where you can enjoy fellowship and get to know how Rotary works. Our meetings are varied and not always at Elland Cricket Club for we enjoy visits and work in the community, all while having fun. Our membership of Rotary International offers many benefits one being the privilege of being welcomed into any Rotary Club in the world where you can be sure of the same friendly welcome and hospitality. 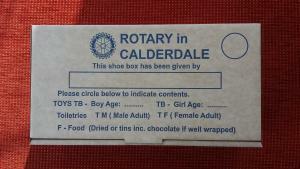 Have a look around our site and if you want to come along to an event or meeting to see what Elland Rotary is about give us a call, you will be made most welcome. The Baines Hall, Elland Cricket Club, Elland, West Yorkshire HX5 0QY 01422 372682.